Welcome to Eranos. Acta philologica Suecana! 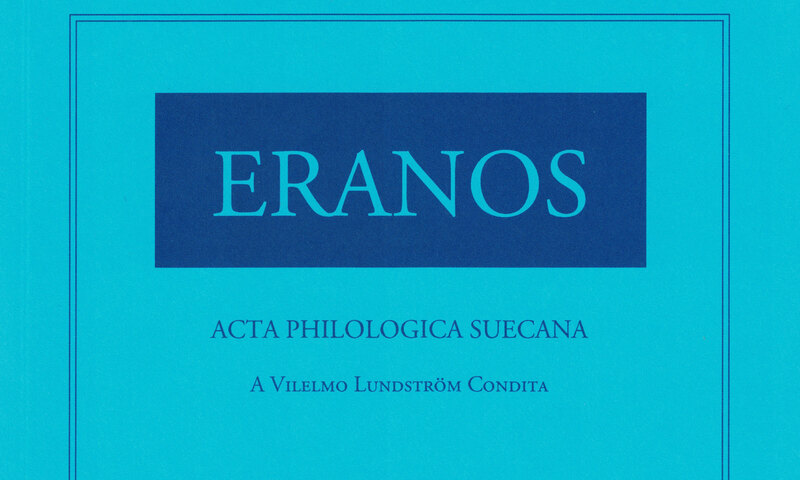 Eranos — Acta philologica Suecana was founded in 1896 by Vilhelm Lundström in Uppsala. It is the oldest Scandinavian journal publishing scholarly articles on the languages, literature and history of the Greek and Roman world and its reception. Eranos publishes original scholarly papers (in English, German, and French) on Greek and Latin philology, including Medieval Latin, Neo-Latin and Byzantine Philology, and on Antiquity and Byzantine Studies in general. We also welcome contributions in Latin and the Scandinavian languages. The journal has an international scope. In order to maintain a high academic standard, all submissions to Eranos are subject to anonymous peer review by at least two experts prior to publication. Kjell Weinius, Uppsala, is responsible for subscriptions and distribution. Eranos is the property of Svenska klassikerförbundet.